MUMBAI: Punjabi music sensation Guru Randhawa has been charming audience by his sensation voice and a cute smile. Having given hit songs like High Rated Gabru, Lahore, Suti Suit etc. Guru has come a long way, but do you know that his successful journey has a story of help and support? Guru recently shared a throwback picture that has memories of his struggling days. The singer also revealed about the same in the caption. This picture has so many memories to recall and smile. I still remember I went to London for my video shoot and my travel agent Randhawa Paji from Batala gave me ticket free of cost as I told him that I am gonna be a singer and will give you money afterwards. Guru’s gesture of showing gratitude was indeed sweet and the singer has once again won our hearts. 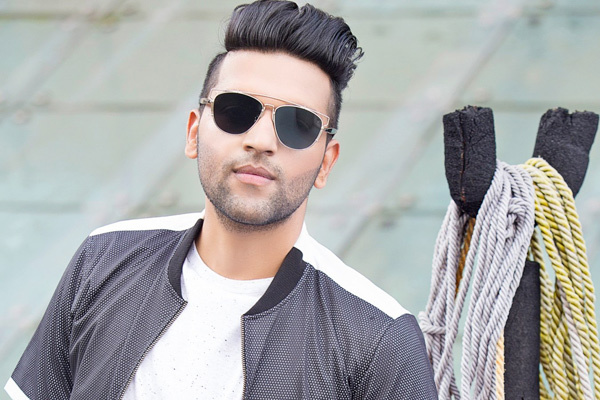 There are many people, who are fortunate to receive help and support and Guru Randhawa is one of them. We are glad that Randhawa Paji helped Guru years back and we thus got our music superstar and we hope other aspiring singers too get similar support. Meanwhile, Guru Randhawa is gearing for his next song Made In India, which will be releasing on 6 June 2018.